There is no better gift that you can give to a loved one, than the gift of precious memories captured forever on a beautiful canvas. 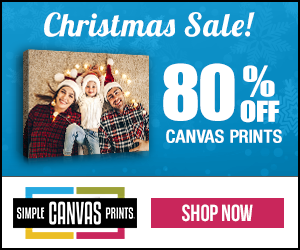 Simple Canvas Prints has the perfect gift ideas for your loved ones. 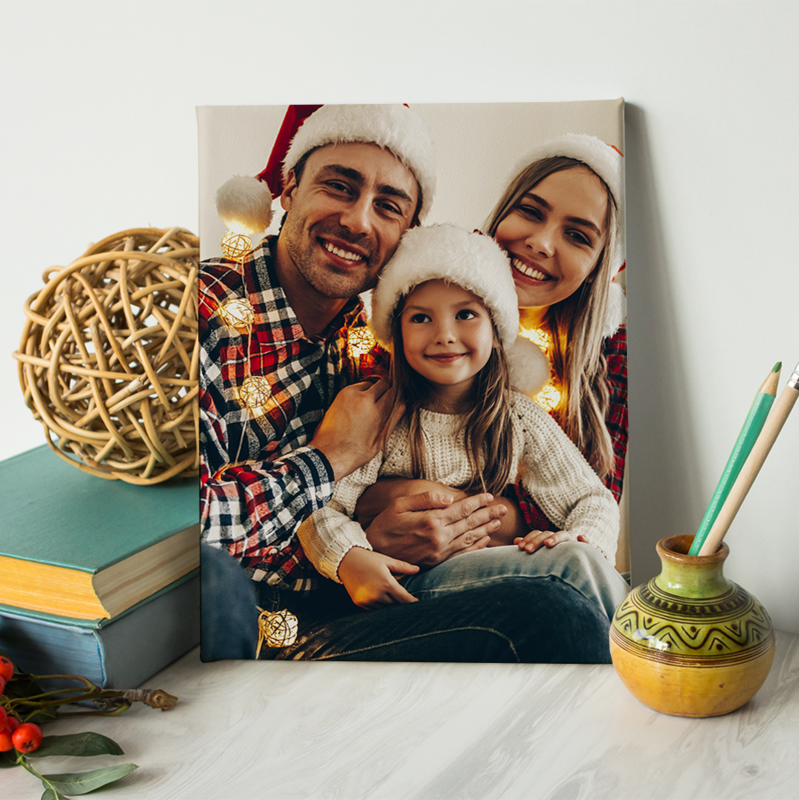 You can turn cherished family photos into beautiful works of art that can be displayed in your home! Simple Canvas Prints is rated #1 online for their museum quality canvas prints. All you need to do is find a favorite or sentimental photo (on your computer or even from Facebook!) Next, you select a size, style and edit it. This year, I wanted to give my daughter and her new husband something special for Christmas. My daughter and son-in-law (who is in the Air Force) have moved from Utah to Texas, then to Florida and now back to Utah, all in under two year's time! 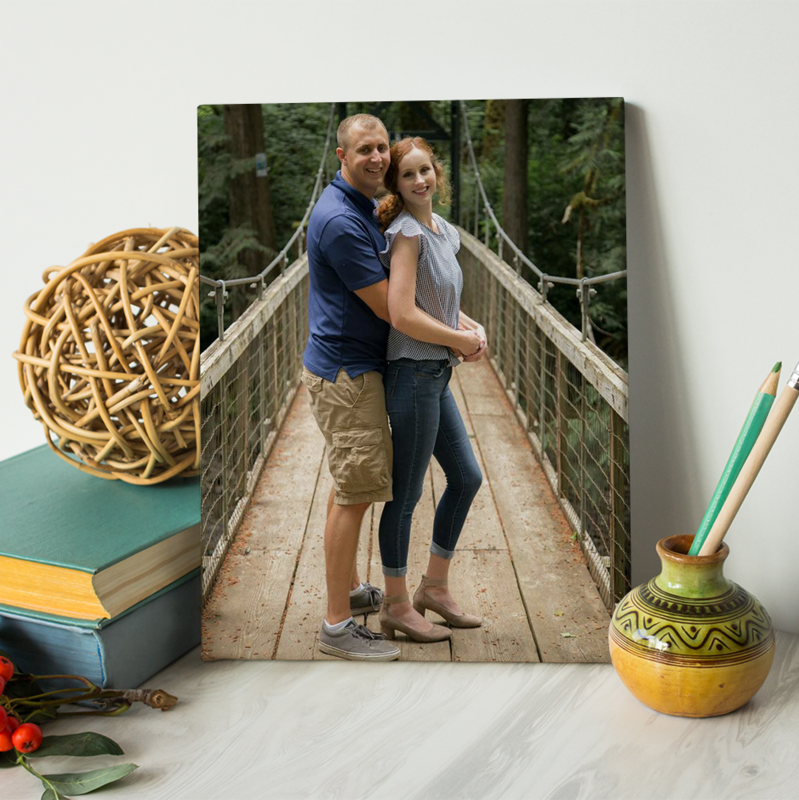 Now that they are settled in yet another new home, I thought it would be nice to have a beautiful canvas print of the two of them to decorate their wall. Below is the one I chose and ordered from Simple Canvas Prints. Isn't it beautiful? Hurry! Order now and save! Right now you can save 80% OFF All Sizes. BOGO 8" x 10" for $26.90 and BOGO 16" x 20" for $49.90!